Dr. Tsolmon Renchin holds a Ph.D. degree in Environmental Science and Remote Sensing from Chiba University in Japan. Prior degrees were earned at the National University of Mongolia (M.S.) and the University of Irkutsk (B.S.) in Russia. She has done her postdoctoral research at Pennsylvania State University and NASA, Greenbelt, Maryland, U.S.A. 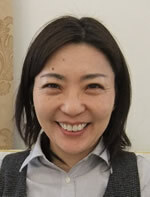 Currently she is a Professor at the National University of Mongolia and head of the NUM-ITC-UNESCO Remote Sensing and Space Science laboratory . She teaches courses on Remote Sensing, Geographic Information Systems, and Astronomy. She has serves as a Remote Sensing and Space Science consultant to Mongolian government projects. Her research interests include application of Remote Sensing and GIS to environment, Climate Change and Natural Resource management. She has published articles in various journals, including "International journal of Remote Sensing", International journal of Digital Earth" and "International Journal of Environmental Studies”. She is a member of the Editorial Committee of the "International Journal of Digital Earth" from 2004 to 2008. She is National Node of International Year of astronomy (IYA) 2009 of Mongolia.